Are you looking for a multipurpose WordPress theme that can turn your site into a beautiful store using WooCommerce? 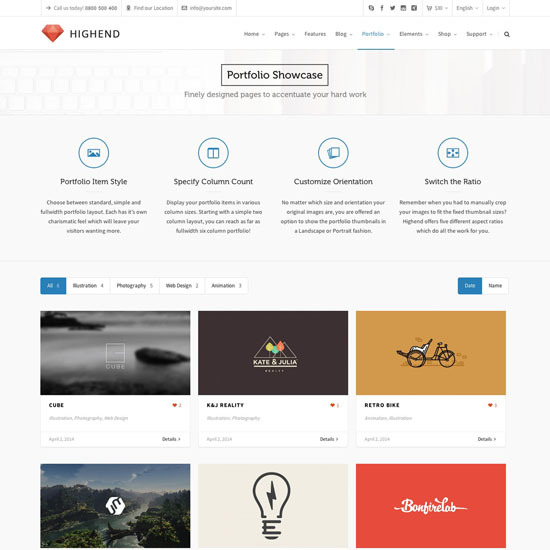 Highend is a fully responsive WordPress theme that aims to create a beautiful and professional site in less time and without hassle. In our Highend review, we’ll show you its features and help you to decide whether it is the best WordPress theme for your site. Highend is a multipurpose theme that focuses on creating an easy flowing online product selling store. It is a beautifully designed theme that attracts the attention of your users with its unlimited color options and different layouts. Highend comes with tons of useful features to make this theme the perfect one for your online store. Highend comes with many different unique features for you to create the perfect online product selling store. With Highend, you can customize each product individually to bring up the uniqueness of the product. Highend also comes with a drag and drop editor that lets you design your posts and pages the way you imagine it to be. Highend can also be used as a standard blog or static site without the shop. 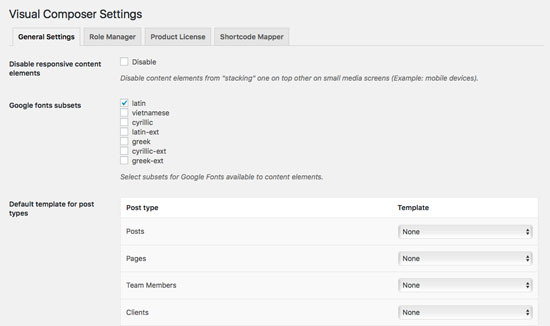 Here are some key features that make Highend theme a great choice for your site. This theme is mobile responsive, meaning your website will be perfectly optimized for every browser, device, and screen size. Having a mobile responsive theme is important, since a non-responsive theme can frustrate your users and cause lower search engine rankings. Also, this theme is Retina ready, meaning your images will remain sharp on all devices. This is a flexible eCommerce theme that is ready to use with WooCommerce, including built-in store styling. Using a WooCommerce ready theme means that the store will look nice without the user having to style it with CSS. It enables you to make money online with features like up-selling and cross-selling, without any hassle. It is also mobile friendly, so you don’t have to worry about creating different versions for different devices. Highend gives you many widgetized content areas. Besides a default sidebar, you can add widgets to the side panel section and four footer widgets. In the footer, you can add several different widgets like contact details, custom links, and a subscribe box to catch your visitors’ attention. Highend offers an unlimited color option so you can style any element exactly the way you want it to be. 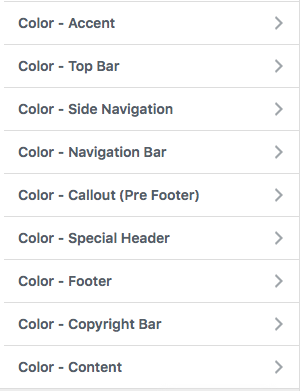 As you are changing the colors, you can preview the changes in real time on your site. You don’t have to be a programmer to build a website. 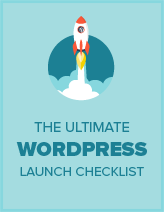 Highend comes with the Visual Composer for WordPress. It is drag and drop frontend and backend page builder plugin that will save you tons of time working on the site content. Highend is a multilingual theme. It comes with translation for five different languages. You can translate your site into the language of your choice and comfort. Highend theme comes with an extensive written documentation that covers every aspect of the theme. Video tutorials are also available on the YouTube channel. Highend is available for a one-time fee of $59. When you purchase Highend, you get access to tons of different premium plugins that will save you over $150. With every copy of Highend theme you are getting free lifetime updates that are automatically downloaded and installed. Highend also comes with free lifetime premium support that is available to you 24/7. You are able to browse thousands of answered questions about the theme or you can even ask your own. Highend lets you easily build a WordPress site with all the different unique features. The theme is also shipped with a drag and drop tool that lets you create a custom layout with ease, so you can build any type of layouts without having to hire a developer. I have a developers license for Highend for the past 4 years. It says NEW DEMO COMING SOON…..well it’s been 4+ years and NO new demos. Hi, this Highend review has a 0 out of 5 rating for performance. Just wondering why that is? Is it just because you haven’t used it yet? I’m an artist and I’m looking to sell photographic products so I’ll need the e-commerce element and also I want to blog. Potentialy later I’ll want to write books and offer public speaking services too. However, I don’t want to set up a bunch of diffrtent websites, I’m not very techy yet. I kind of just want to do it once, like, have a one-stop shop website. I think this webbuilder might be a good choice for me but there are so many options and it’s overwheming. I’m looking to build a site that is beautiful, has lots of neat design elements and is also simple enough to use, I’m not a coder. Any advice or comments would be very appreciated.